1962 was a great year for British car enthusiasts. New arrivals on the scene included the evergreen MGB; the perennial Ford Cortina; the flawed but very interesting Triumph Vitesse and the revolutionary BMC ADO 16 in its initial guise as the Morris 1100. By this time, the British Motor Corporation had squeezed virtually all the originality out of their more prestigious marques, Wolseley and Riley. It was inevitable that Wolseley and Riley 1100s would be introduced, but our old favourites the Wolseley 1500 and Riley 1.5 were continuing to sell well and, indeed, were not phased out until 1965. 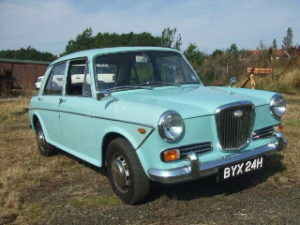 It was in the autumn of this year, then, that the Wolseley 1100 was introduced. With the exception of the traditional grilles, colour schemes and one or two fairly pointless interior modifications, the Wolseley, Riley and MGs were all virtually the same car. Our favourite had the tried and tested BMC A-series engine developing 55bhp, although confusingly, during the latter part of 1967, some cars were actually manufactured with the 1275cc version, developing 58bhp. These original cars boasted attractive leather interior and, on the face of it, maintained the Wolseley traditions. Come the 1967 Motorshow, the cars got a bit of a facelift and from the spring of 1968, a twin-carb engine, which developed 65bhp. 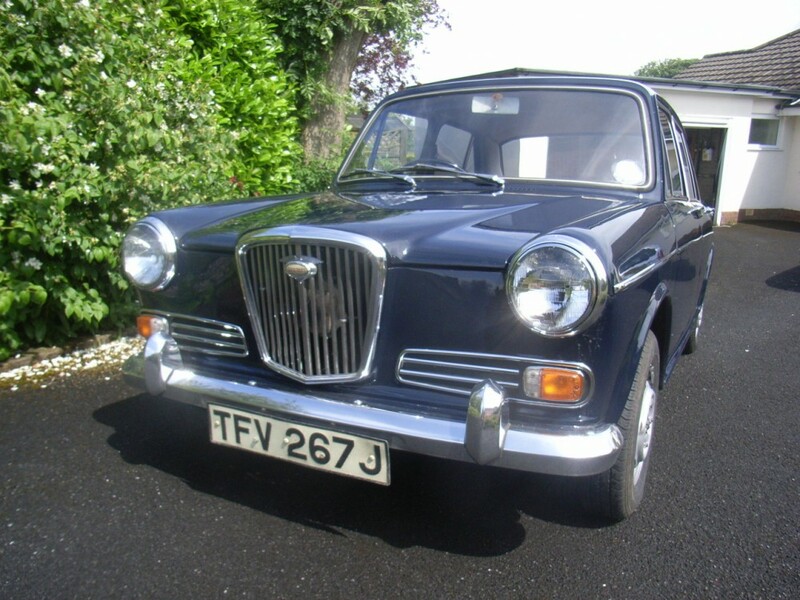 Rather confusingly, the Corporation produced an 1100 version of the facelifted Wolseley 1300, which, funnily enough, employed the original 1098cc engine, with a handful being manufactured offering full automatic transmission. The model’s longest unbroken incarnation came from 1968 to 1973 when badged as a Mk II, the 65bhp 1300 engine employing twin carbs continued in production, although, again surprisingly, the version with automatic transmission developed only 60bhp, utilising a single carburettor. In compiling this somewhat potted “history”, information has been gleaned from original BMC brochures, but consistent with the confusion of the era, it is not clear as to when the original decent quality leather upholstery came to be trimmed with “knit-backed expanded vinyl”. No breakdown for the numerous variations is available, but it is thought that 17,397 1100s were built, whereas there was a total of 27,470 of the larger engined cars. Research websites indicate that 21 examples of the 1100 remain “taxed”, with 57 1300s. 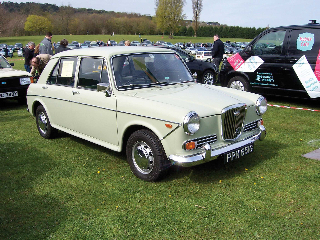 In conclusion, the Wolseley is one of the more attractive versions of Issogonis’ very successful range, which, as late as 1973, was still Britain’s bestselling car. 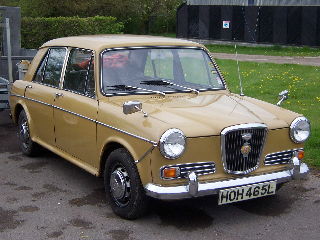 The range was replaced with the (largely unloved) Allegro, and if BL had not been much more “hard nosed” than their predecessors, we would have undoubtedly seen a Wolseley Allegro. What do we think of that prospect?